Launching a new automation project is challenging. There is a lot of pressure on your head to get it right and make sure it's a success. There's pressure to pick the project that makes the best use of resources. There's pressure to prove to others that your choice of project is the right one. There's pressure to demonstrate that the project was a success after it has been up and running for a while. The problem is that you can't build a project by guesswork alone. You need data at every single stage of the process. By using the right software. Insights is our cloud-based collaborative robot monitoring software. It allows you to monitor and analyze your robot's performance both in real-time and using historical data. It provides you with a reliable method to collect a lot of the data will need to build your new project. In this article, I'll show how you can use Insights data throughout the entire process of building a new automation project. Where does Insights fit into robot deployment? During Design — This first phase is where you pick your robot application and plan the deployment. Data is most often used here to analyze the existing manual operation of a task, which means you have to record it manually instead of using software. 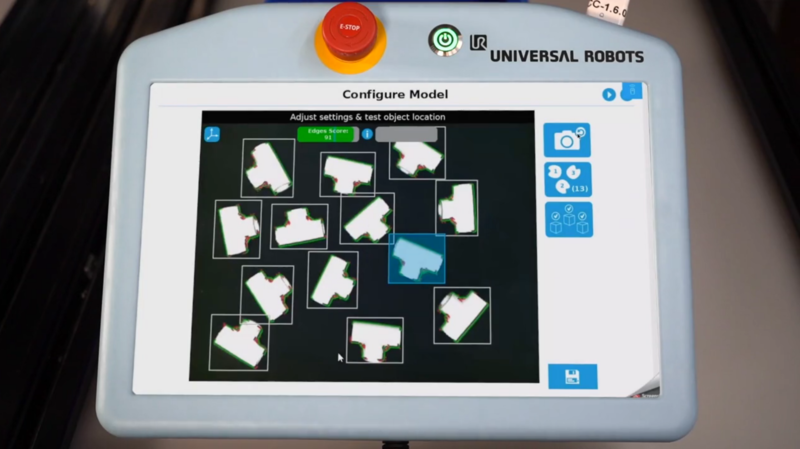 However, you may be able to use Insights data if you have access to a collaborative robot during this phase. That way, you can run tests before you begin deployment as you'll see in the case study example below. During Integration — Data can be very useful while you are integrating the robot into your process. In Insights, short-term time periods (e.g. daily view and hourly view) provide an immediate and clear visualization of the effects of any changes you make to the robot's programming. During Operation — Insights really comes into its own when you are using it during the Operate phase of robot deployment. Data collected when your robot is running in production mode helps to ensure optimal use of the robot. Insights helps you to spot problems when they occur and allows you to improve the robot's productivity over time. Data collected at this stage is invaluable for proving the effectiveness of the robot. Some people only consider the Integrate phase when they think of building a new automation project. However, as will see in the following case study, Insights data can be invaluable in the other two phases as well. Let's take a couple of examples from our Case Study Library to show how Insights can be applied at every stage of a robot deployment. Continental Automotive Spain — At the time this case study was produced, Insights didn't exist yet. However, it is a perfect example of the type of new project which can benefit from the data that Insights collects during the Design and Integrate phases of robot deployment. Walt Machine Inc — By contrast, this case study does use Insights. It's is a great example of how the software's notifications are effective during the Operate phase of robot deployment. Although Insights wasn't available when they first began using robotics in 2016, they have easily integrated it into their process and, by doing so, saved themselves a lot of time. Continental Automotive Spain is always looking for ways to innovate their production processes. In this case study, they were looking for ways to incorporate Industry 4.0 and to improve productivity. 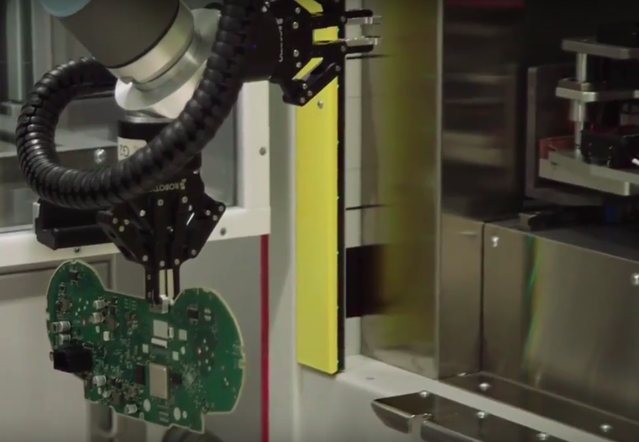 Their first collaborative robot project was to incorporate two UR10 robots into their PCB production process for quality testing and machine tending tasks. 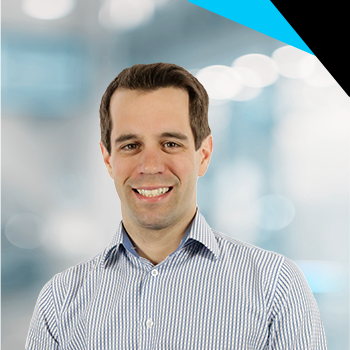 Engineer Victor Cantón was chosen to lead the new project, a role which he accepted despite not having any experience using robots. With his solution, they were able to move workers away from non-value-added tasks and reduce the changeover time by 50%, allowing them to convert the line from one product model to another in only 20 minutes. Here's how the team could have used Insights data during the Design and Integrate phases of the deployment. Data during the Design phase is most useful for exploration and validation. At the time that the project was proposed, the company had already acquired a UR10 robot. This meant that Victor was able to run tests before the application was integrated into the line. Insights can be very helpful during such exploratory tests. Victor could have run Insights on the test robot and used the real-time visual feedback to validate his design ideas and collect data to gradually improve the design of the robot cell. 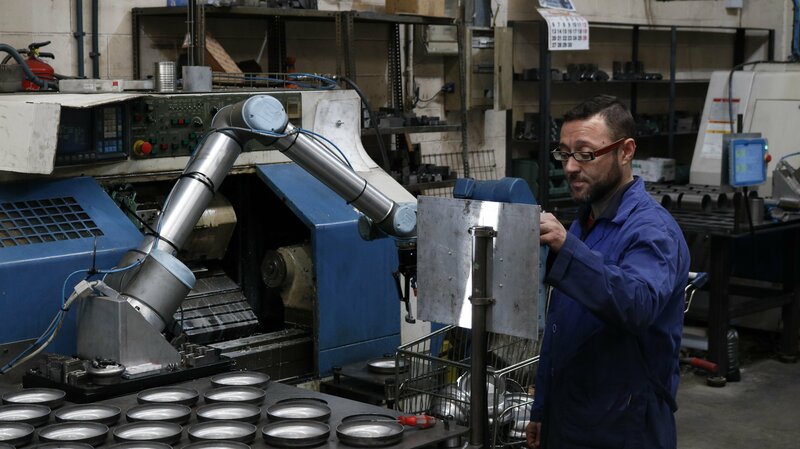 Since Continental's first project, they have added eight more cobots to their line. For these subsequent projects, they could also have used the data they had collected from the first application to inform their choices about new projects. Insights is very helpful during the Integrate phase. Participants of our RUC 24 Hour Challenge back in September — in which eight teams integrated a robotic production line in just one day — used Insights to monitor and tweak their robot application as it was developed. Insights data used at this stage can help you to quickly identify problems in the robot programming and see where the robot is wasting time. Continental could have used Insights during this early stage of deployment to closely monitor the robot's operation and iron out any teething problems with the design. Also, one of the biggest challenges during integration occurs when robots are not communicating properly. Insights can help to overcome this challenge, as we discussed in the article How to Ensure Your Cells Are Talking to Each Other. WALT Machine Inc's president, Tommy Caughey, first saw Universal Robots about 4 to 6 years ago and was very impressed. However, it wasn't until 2016 that he decided to make the jump and buy one for his business. What was it that convinced him? The Robotiq Plug + Play Wrist Camera that we brought out that year! The robot allowed him to go away for 4-6 hours and leave the robot running, unattended, overnight. Most of the time, the robot easily achieved this and there were no break-downs. However, he was always a little bit worried that the robot make down. That was, until Insights came along! 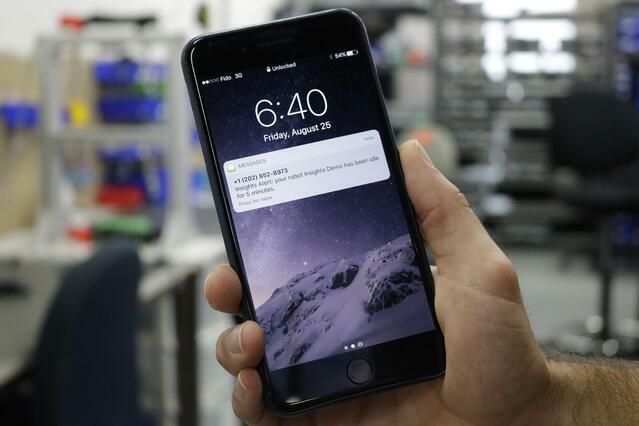 The Operate phase is when Insight's instant SMS and email notifications become a real help. 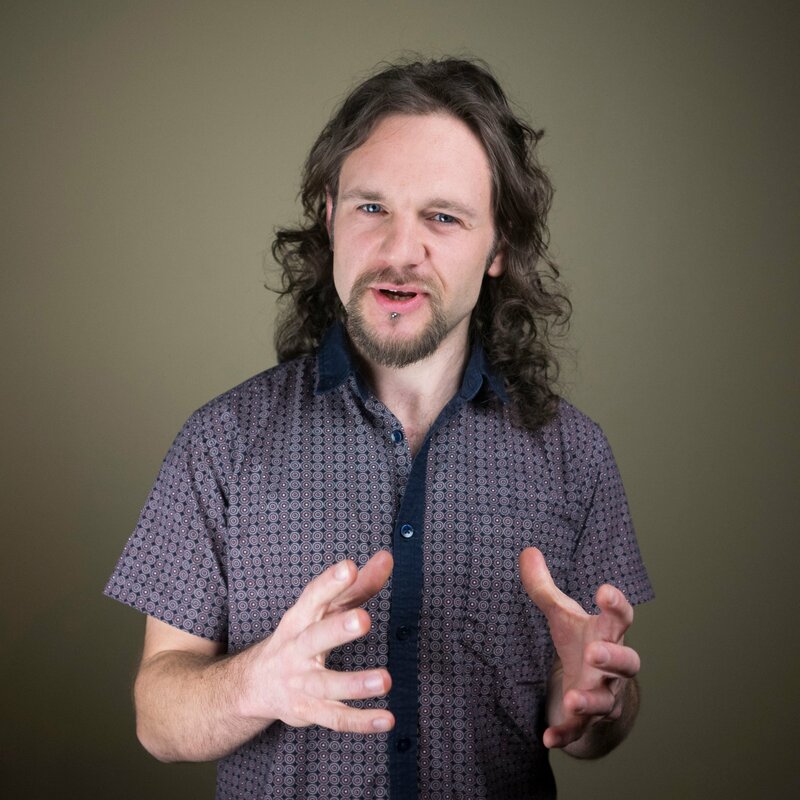 When we released the software, Tommy Caughey added Insights to his robot. He now receives updates from the robot, sent straight to his mobile phone, when he's at his desk. His team no longer have to manually count the number of parts made during the night shift, which frees up time to learn new skills and develop new robot applications using the data from Insights. Validate the project — Both Continental and Walt Machine Inc, could have used Insights to demonstrate that the project was success. While they were able to show a 50% changeover time improvement using their existing analytics, they could also have shown more detail by analyzing the cobot-specific KPIs used in Insights. Continuous improvement — There are always improvements that can be made to a robot process. Insights provides a simple way to analyze and identify areas for improvement. Both companies could have tracked their robot cell and improved productivity even further. Seek out new projects — Finally, as the Continental case study showed, your first robot application is often only the start. The data you collect from Insights can help you to start building your next automation project and ensure it will be a success. You can try out Insights for yourself within a matter of minutes by going to the Insights Demo at insights.robotiq.com. 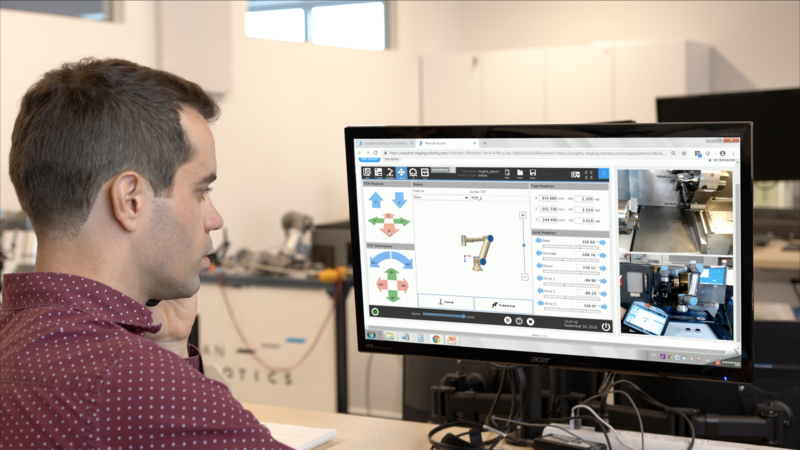 Also, if you are considering a new automation project, Blueprints is a great way to get started as it will help you to clarify the application before you begin designing the robot cell.